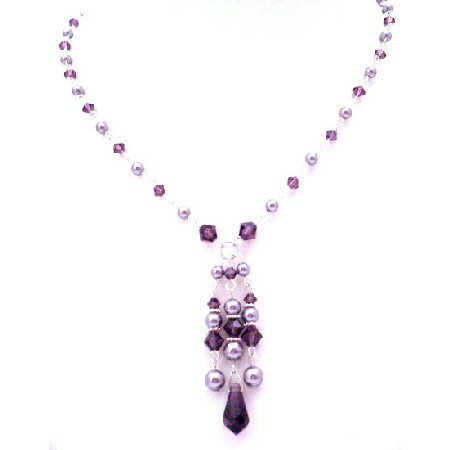 Harmonious accumulation Swarovski Collection using genuine crystals & pearls Absolutely February Stone color Amethyst Crystals & mauve pearls with beautiful drop down with pearls & crystals dangling Amethyst Teardrop. Be very particular in buying jewellery as a valentines day gift for. always give the impression of being thoughtful & expressive.